Save money and get online discounts on a rental car in Denver. By choosing Advantage car rentals, you will get unparalleled pricing and selection as well as Advantage's great customer care and service. This is a great alternative to the big boy car rental companies. Welcome to th Mile High State! There are so many things to do when you are visiting Colorado, like the Denver Zoo and Denver Museum of Nature and Science. There are many more things to do, too. There are many attractions, sites, activities and restaurants to visit, as well. Do not miss out on all of the fabulous things to do while you are visiting Colorado. Alamo Rental Cars provides some the best rates to be found online for rental cars in Colorado. With Alamos superior customer service and locations all over the world, Alamo is here to satisfy your rental car needs. Be sure to rent you vehicle from Alamo Rental Cars. Save time and money by booking with our discount Alamo Car Rentals! 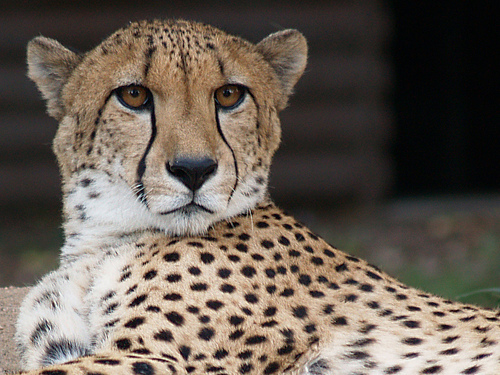 The Denver Zoo is an extraordinary zoo that opened in 1896 and inhibits over 80 acres of land. The Zoo holds over 650 species of mammals, fish, invertebrates, birds, and amphibians as well as having a total of around 4,000 animals that live at the zoo. The Denver Zoo is a primary regional resource for wildlife conservation focusing on the preservation and protection of the animals. At the Zoo there is so much to do and see. Check out the times for the animal feedings, meet your favorite animal, check out a wild life show, take a train ride, or even ride the carousel. From Asian Elephants to Fruiting Trees there is so much for you and the family to explore. The Museum mainly focuses on 6 different areas of expertise such as Anthropology, Geology, Health Science, Paleontology, Space science and Zoology. The Museum has been accredited by the American Association of Museums. All the exhibits have to do with the many wonderful things that nature has given to us, but also the many things that nature can take away from us. Along with the many different exhibits the museum has to offer, they also have an IMAX theater showing different films every day of the week rotating through out the year, as well as a planetarium that also features shows great for the whole family. If you get hungry stop by the T-Rex Cafe for a fresh hot meal or get a souvenir before you go to remember the awesome experience you had at the Denver Museum of Nature and Science. 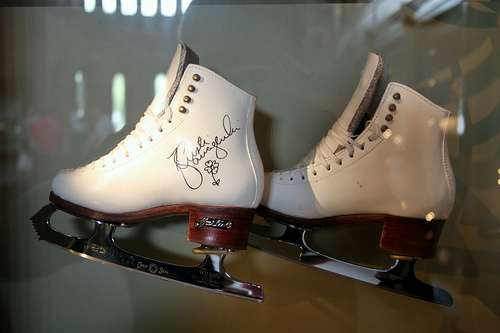 Located in Colorado Springs is the Museum that is solely dedicated to the sport of Figure Skating. Discover the history and art of figure skating from the past to modern times. Learn about the science and skill it takes to perform the moves and talent of some the greatest figure skaters around. Holding the largest collection of figure skating material in the world, the backbone of the museum consists of over 3,500 items, 20,000 images and over 1,500 books. Take a walk through the Hall of Fame and see some of the most well known names of figure skating from the past to the present and don't forget to pick up your favorite memorabilia from the museum store. Located in Bolder, Colorado, The University of Colorado Brings you Colorado's Museum of Natural History. The permanent exhibitions feature zoology, paleontology, anthropology, and a children's Discovery Corner. Many of the exhibits relate to dinosaur fossils, a variety of cultures from the Southwest, as well as a few animals from Colorado. The Discovery Corner is a hands on exhibit greats for kids. It allows them to discover the natural history through many artifacts and specimens by getting up close and hands on to the history of Colorado. The Museum has three galleries of temporary exhibits that change on a rotating basis. After a fun day at the museum stop by the gift shop to pick up something to remember it by. Renting is easy when you rent a car from Enterprise. Rentalcarmomma.com is here for your renting needs. Let Enterprise take you where you need to go in Colorado. AVIS rental car has some awesome discounts for our rentalcarmomma.com customers. Click our links below for our AVIS discounts and to find the Colorado location near you. With over thousands of acres of land and hundreds of acres to hike there's always something to do or see while your there. The Park has five drive in camp grounds for your enjoyment that are first come first serve. The park has a wide variety of animals that roam the park and beautiful wild flowers that blossom in the meadows in the spring. Some of the mountains reach an elevation of over 12,000 feet. The Park has around 150 lakes and over 450 miles of streams and wet lands. 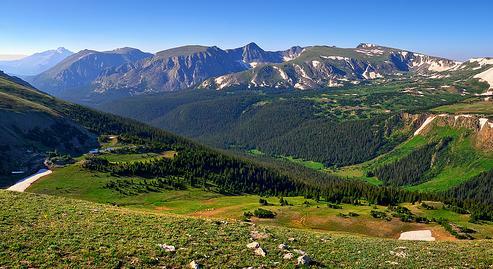 The Rocky Mountain National Park is a beautiful place to spend the day in the beautiful Colorado. So take your family and friends and camp out, hike, and explore the Colorado Rockies. A premier speedway for Go-Karts in the United States, located in Grand Junction, Colorado. Bring the family and race around the .9 mile sprint track, that has exhilarating fast straights, hard turns and technical corners. The track has 13 turns and is 32 feet wide to provide a safe but fun experience for every one. Not only do they race go- karts but motorcycles as well. Spend a day with the family or friends riding the go-karts in Grand Junction, Colorado. National Car Rentals has a variety of locations for you to choose from. Our National Discounts can save you tons of money for renting a car from rentalcarmomma.com. Let National take you to your favorite place in Colorado. In Colorado, Dollar Car Rentals has partnered up with Rentalcarmomma.com to get you the best deals out there. Save time and money when you rent a car with Dollar. For fun and exciting adventures in the snow Aspen Expeditions has all time great reviews from customers that keeps them coming back. Take a journey with your own personal tour guide that is certified through the American Mountain Guides Association for some rock climbing, ice climbing, skiing and snowboarding. Aspen Expeditions also offers backcountry skiing that takes you on an adventure through the wilderness of Aspen. The trips are from 2 to 5 days and take you through the White River National Forest that surrounds Aspen while staying in a cozy hut at night. Your bound to have a snow ball of fun with Aspens Expeditions. Since 1889 the Opera House has been serving the Aspen community in the leading site for concerts, movies, festivals, opera and so much more. 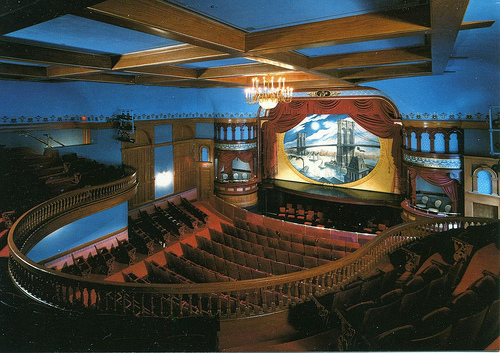 During the booming era for Aspen the Wheeler Opera House was a fabulous hit for the town. People came from all over to enjoy the plays and shows put on by the city of Aspen and to smell the sweet fragrance of White Rose Water lingering through out the house. In the early 1900's the Opera house was set fire by arson for the second time and was so intensely burned that it melted the steal cable wires. in the 1950's it was restored to its Victorian style look and by the early 80's it was back to being the most beloved building in aspen. For over 120 years the Wheeler Opera House has stood through the booming and broken parts of time and is still standing strong today.